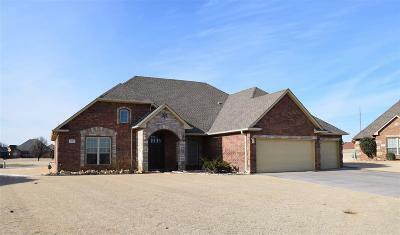 Beautiful custom built home in the desired Pheasant Run East Golf Community. This 3 bedroom, 3 full bathroom home that backs up to the 12th green offers vaulted ceiling in the living and formal dining room, office with built-ins across one wall with desk. This kitchen will have your inner Chef whipping up meals like a pro with amazing appliances and counter and cabinet space galore. Water well for the outside feeds the sprinkler system for easy lawn care.